As a senior IT leader in your organization, you may have explored or tried outsourcing to India, the top offshore destination. The direct cost savings of outsourcing are obvious and easily quantifiable but there is more to outsourcing. We’ll discuss the risks and rewards, as they relate to IT offshoring. We will also share some of the best practices our clients follow to manage relationships with us. Anytime an outside vendor is engaged, there are risks involved and worries arise. Did I partner with the right provider to do the job? Will they do what they claim to do? Will there be challenges in working between provider and internal teams? Business Risk: Most offshore partners are not as emotionally engaged with client’s success as internal employees typically are. This combined with employees becoming increasingly impassioned due to layoff threats can create lack of proactive culture to problem solving. Direct business losses due to slow reacting operations combined with opportunity costs can quickly outweigh cost savings from outsourcing. Reactive Communication: The less process-oriented an outsourcing organization, the more communication provider requires. Most offshoring destinations are prevalent with reactive culture and this can create significant communication challenges. This can introduce significant delivery delays and quality issues going unnoticed at worst. Software Quality: Most outsourcing providers don’t have strong end to end QA management practices like RTM (Requirements Traceability Matrix etc.) in place especially among serving SMB clients. Most of the testing is done in ad-hoc manner and onus lies on clients to ensure quality. Among tier-1 outsourcing providers, focus is more on documentation instead of thinking beyond and ahead! Low Employee Morale: This is especially true if you plan on laying off employees and replace their job functions with an outsourced firm. Employees who are not affected also might be rightfully concerned that management might seek outsourcing more frequently to reduce personnel. This can reduce employee focus, productivity, and increase unhealthy attrition. The result is often subconscious self-sabotage leading to project failure, which justifies avoiding outsourcing in the future. Tribal Knowledge: Organizations generate a huge volume of knowledge over the years. Some is documented, but a large portion is not. Many organizations rely heavily on the “tribal knowledge” of individuals within a group. It is natural to assume that outside organizations will lack access to similar information and, thus, will be ineffective. Or that communicating knowledge to the vendor will take a lot of time. The Learning Curve: “By the time I tell them what to do….” The largest obstacle to effective outsourcing is that it initially requires effort to change existing behaviour. However, the benefits over time are significant as we learn to operate in a more efficient manner. There are learning curves on both sides of the outsourcing transaction to come up to speed on a particular project. Management Inexperience: Outsourcing requires significant adjustments in management style as well as engagement approach for employees. Lack of experience and related problems may be perceived as issues related to provider. Loss of Control: It can be unsettling for established departments to work with an outside entity. Additionally, managing an IT employees is decidedly different from managing an outsourced development partner and their employees. Indeed, it requires change in managerial style as well as engagement approach and is often perceived as a loss of control or ownership. Security Risk: Security risks related to data hacking have gone up significantly in recent years. Sub optimal security systems and procedures at most providers could make outsourcing a non starter. 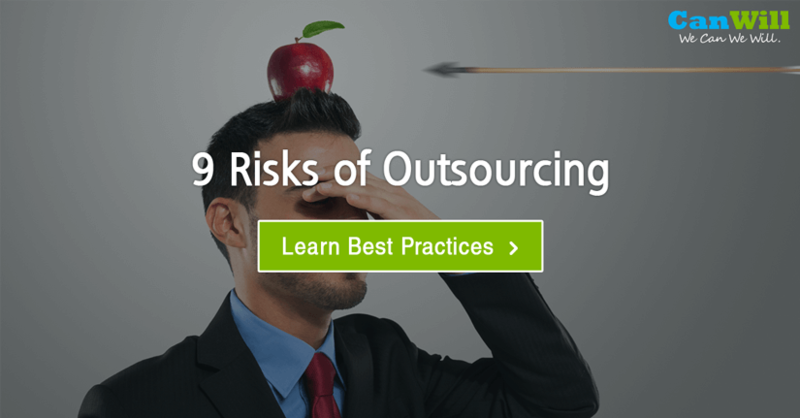 Scared of risks and challenges associated with outsourcing? There are many rewards you can expect when you follow the best practices and successfully outsource some of the functions of your company’s IT. Reduce resource costs: Due to lower cost structure which is typical of offshore destinations like India, cost savings can exceed 60%. Improved focus on core: It’s possible to build expertise in everything a business relies on but it can be time consuming and ultimately expensive. Using an outsourced IT company removes the burden from your staff who has taken on more than he or she was hired for because “someone needs to do it”. It can reduce distraction from non-core activities of IT operations and also free up more capital for strategic projects related to improving customer experience. Improved time-to-delivery: Continuous and 24hr development life cycle is made possible due to time difference with some of the top offshore destinations. This can significantly speedup delivery times for well co-ordinated projects. Access to specialized skills: Outsourced IT companies usually have expertise in specific areas. You can get better ROI by outsourcing to a firm that specializes in the areas you need. Also, you benefit from their experience and a large team of professionals instead just relying on knowledge of an individuals. Lack of internal skills: Outsourcing can be the only alternative when internal qualified resources are not available or hiring new employees is not in the budget. This can often is the case for transient needs or when the long-term need is not clear. Reduce Business Risk: Business running on outdated or sub optimal technologies can create a competitive risk and challenges with attracting a top talent. Outsourced IT providers work with multiple clients and need to keep up with industry best practices. Provider’s subject matter expertise and experiences can significantly reduce disruption to business while upgrading or maintaining technologies. These are some of the best practices followed by our clients and usually result into successful and long term relationships. Minimize Human Impact: Keep open communication with all directly and indirectly affected employees and make a genuine effort with their career transition. Organizational Buy-in: Employees have to believe in the need of outsourcing for a long term health of the organization and most employees, not just the senior management. Avoid Blame Game: Almost every development goes through periods where the entire project is in question. Don’t be in a hurry to blame the provider unless you are sure that they have done something wrong. Too often we are ready to blame before we know all the details or to appease senior management. Blaming will not help get your projects done. Clear Project Definitions: Reliance on tribal knowledge and time pressures often result in a lack of clear project definitions. This is important for internal development but absolutely required for successful outsourcing. It is critical to communicate the project definition in as much written detail as possible. As with any development, not all requirements can be defined up front, but earlier they are defined the better for time-to-delivery and costs. Assumption is root cause: Most communication problems are amplified while working with offshore providers. Minimize the impact of reactive communication by creating a culture of assumption free and explicit communication. It can be helpful even for internal operations but absolutely necessary for success of outsourced projects. This combined with more frequent communication can significantly reduce most of the problems. Right Vendor Selection: Most of the risks can be significantly reduced or avoided altogether if you know what to look for in a vendor and ask the right questions. Make sure that vendor has institutionalized practices to address some of the challenges typical of offshore providers. Contract Terms: Insist on a contract that includes all the expectations of the relationship, especially the scope, timelines, financial aspects, commitments, and warranties etc. If it makes sense and possible then include penalties for project delays and bonuses for timely execution. Now that you have become familiar with the risks, rewards, and best practices associated with outsourcing, one thing is clear, “outsource and forget” is not enough! Okay, thank you for reading and keep the conversion going by commenting below. If you enjoyed this article, then you better share it with others who would benefit from it! 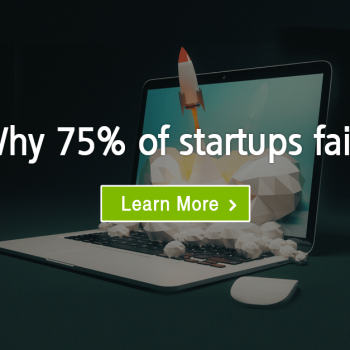 Do you continue to leverage IT Outsourcing, or do you avoid it like the plague? Are you exploring it and concerned about risks? Any observations from your prior experience? Any other questions?